Who run the (comedy) world? GIRLS!! Join Tucson Improv Movement for storytelling, improv, and standup comedy featuring some of the funniest local & out-of-town comedians and storytellers at the Cactus Flower Comedy Festival. Our goal is to feature diverse women performers and bring together individuals from all walks of comedy. In addition to hilarious shows, we will hosting workshops to increase dialogue among comedians and provide vital information about women’s role in the world of comedy. 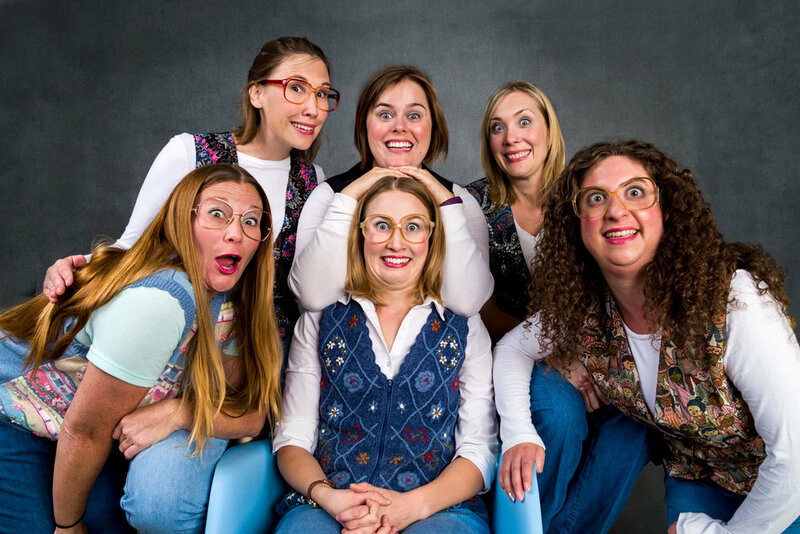 PUMPS was born in the fires of the iO West Theater in Hollywood, CA...These women have taken the stage to induce laughter and frivolity in the hearts of their audience. JaxN Reed is Jacque Arend & Stacey Reed Hanlon, a longform improvisational duo from the Torch Theater in Phoenix. THE RIVETERS is TIM's OG all-female team! They will take your suggestions, open up their lives to you, then perform long form improv for your amusement and delight! The Riveters is comprised of Catherine Bartlett, Jessica Peck, Jessica Hill, Clare Shelley, Jessica Gregg, and Esther Brilliant. Mo Urban is a Tucson comedian who runs a weekly open mic comedy show at Café Passe every Wednesday and also produced and co-hosted and co-produced the Comedy at The Wench showcase with Roxy Merrari. She also cohosts and co-produces The Dating Game at The Flycatcher with Bethany Evans and the comedy variety show “What Now” with Amber Frame at Tucson Improv Movement. She has performed all over Arizona and has hosted at Laffs Comedy Club for Laurie Kilmartin, Steve Gillespie, Brian Scolardo and is hosted for Kevin McDonald for Tucson Improv Movement's Comedy Festival.